When organisations look to deliver their first intranet, a feature that is often important is how the intranet centralises and manages documentation that the business creates. In this blog post I want to give you an insight into some of the real world impact that our intranet document management delivers and how you can use this in your business. If you would like to see any of these features in more detail or understand how it may overcome some of your challenges, book an intranet demo. Right from the start we built our document management to be a central part of the intranet experience. It needed to be both intuitive to use and beneficial for helping individuals get work done. As the product developed we’ve added numerous features to make life easier for the different ways people use this tool; I wanted to highlight just a few. A common requirement that many people have for their intranet is to provide audit control over documents. Document management delivers this through version control. Document revisions are recorded and tracked allowing you to revive previous versions if required. This is a useful feature that is widely used but particularly by organisations such as legal firms, regulatory bodies and NHS trusts when they are required to keep an audit trail of key documents. 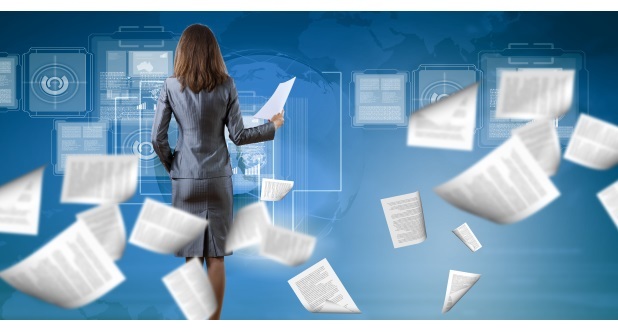 As the business creates documents, without intranet document management it can be a struggle to make sure people are reading them. When releasing new policies and procedures the HR team can use the mandatory read feature to confirm that staff have received and read these documents. The intranet document management keeps a record of this so that you can refer back at a later date. This is a useful feature as it gives you, the document author, an understanding of who has read your documents as well as alerting to the reader the importance of your content. Some documents need the approval of more than one person before they can get released. Traditionally organisations turn to email, sending documents back and forward with changes until the final version is thrashed out. To avoid this from happening the intranet document management provides an approval process so that documents can be sent to an individual or group for sign-off before being released. This is useful for the communications teams composing press releases as well as senior managers working on reports or proposals. Finally I wanted to touch on the security of documents being shared around the business. This is an area where our intranet document management really excels. On each document and each folder we apply access control that specifies who can and cannot see it. If you don’t have the permissions to open the file you simply don’t even see it is there. As well as keeping your most sensitive content secure it also helps make sure that the documentation that someone can see is relevant to them. This is just the tip of the iceberg of how our intranet document management helps your employees work smarter. If you like what you see here, book your intranet demo and we can help you discover some of the other clever ways that our intranet software can positively impact the way you get work done.